Preheat the oven to 425°F. Spray two six-count donut pans with nonstick cooking spray. In a mixing bowl, sift together the flour, baking powder, baking soda, and salt. In a stand mixer (or a large bowl with hand mixer), beat together butter and sugars until smooth. Add the eggs and vanilla. Add the flour mixture and milk alternately and mix until just combined. To fill the donut pans, fill a large pastry bag (no tip required) with donut batter and pipe the batter into the wells of the pan, filling with about 1/4 inch of room remaining. Or you can simply use a spoon to spread batter into the pan. Bake the donuts for 10 minutes. Remove from the oven and wait a few minutes before turning them out of the pans onto a rack. Let them cool. In a bowl, whisk together the sugar, melted butter, and heavy whipping cream. Divide the glaze into four bowls. Leave one bowl of glaze white and dye the other bowls of glaze to create a preferred color palette. By the spoonful, drop random scoops of glaze back into the main bowl. Use a knife to swirl the glaze gently. Dip each donut into the swirled glaze, placing it back on the cooling rack to set. 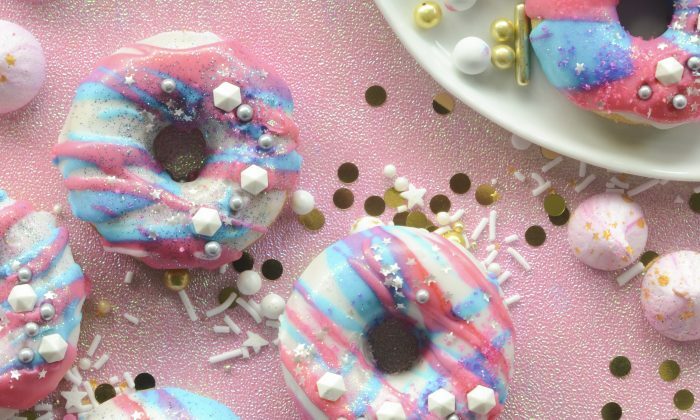 Sprinkle with edible glitter and garnish with as many sprinkles as your unicorn heart desires. The donuts will keep in an airtight container for up to 3 days. Reprinted with permission from “Unicorn Food” by Rachel Johnson. Copyright 2018. Photography by Rachel Johnson. Published by Sterling Epicure. 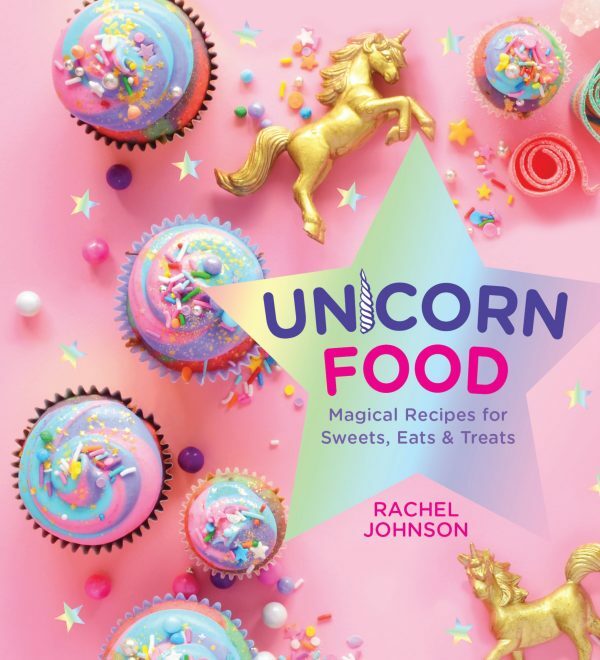 “Unicorn Food: Magical Recipes for Sweets, Eats, and Treats” by Rachel Johnson ($14.95).